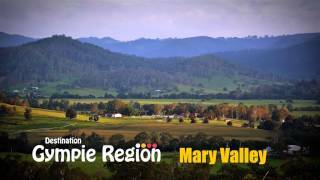 Gympie Regional Council welcomes you to the Gympie region and hopes this food trail map helps you to discover, plan and enjoy your visit to their beautiful region. 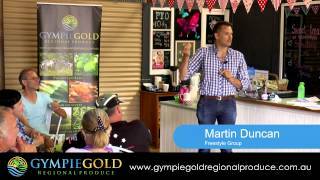 Gympie Gold Regional Produce aims to help you be inspired to taste, create, buy, stay, play, dine, learn and connect with their growers, producers, retailers, processors, cafes and restaurants and find out all about the fantastic food related events from near and far. Whether you’re taking the western drive out to Kilkivan and Goomeri to explore the richness of the country landscapes and towns have to offer. Going east to soak up the natural beauty of the coastal towns of Tin Can Bay and Rainbow Beach through Goomboorian, taking one of the many scenic routes through the picturesque and fertile Mary Valley or simply stopping to explore the regions historic city centre of Gympie, with the unsurpassed beauty and a wealth of natural attractions from the ocean to the hinterland they’re sure that this region has something for everyone. So they invite you to stay, unwind, relax, explore and simply enjoy the diversity and vibrancy of everything that the region has to offer.